SHREVEPORT, La., July 31, 2014 -- The Lucky Sevens is a series of solo exhibitions in Shreveport/Bossier, Louisiana featuring artist Marlene Tseng Yu. There will be 7 shows at 7 local institutions beginning with her 70th solo exhibition in her 77th year. Different from a traveling show, each exhibition features a different theme and selections from her 4000+ paintings, 35+ series, and 50+ years of “Forces of Nature” creations, ranging from 16 inches to 37 feet long or 18 feet high. The first show will be at the Louisiana State Exhibit Museum with the Marlene Meet and Greet Party on Thursday, September 25, 2014. The exhibition, titled “Purple Swamp and Nature Abstraction,” will run from September 25 through October 31, 2014. This theme will feature Yu’s most recent paintings inspired by the swamps of South Louisiana. The next show will run from September 26 through November 30, 2014 at the Robinson Film Center. The title is “Emerald Forest Series” which features works inspired by the rainforest, the movie titled “The Emerald Forest,” and humankind’s relation to nature. Following, is “Fire—Element of Life” to be held at Artspace from November 14, 2014 to January 17, 2015, with an evening opening reception. 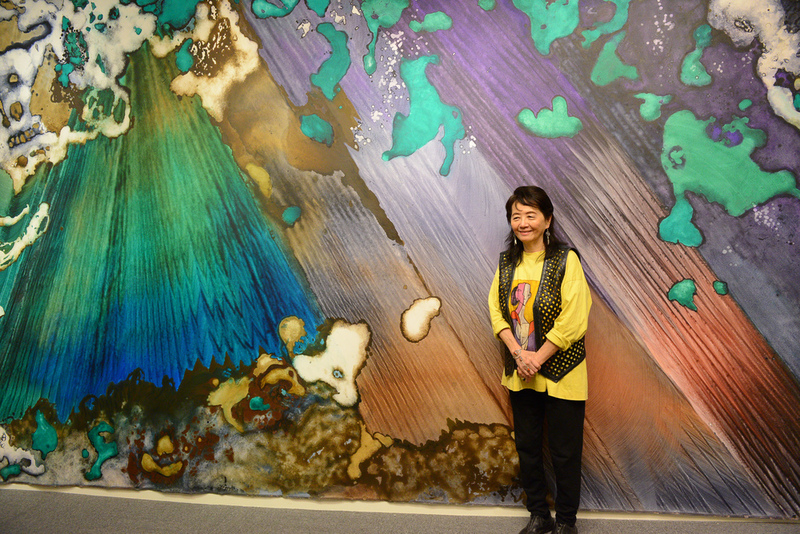 The “middle” exhibition of the seven will be at the grand opening of the Marlene Yu Museum with the title “Forces of Nature.” This show will feature paintings from her 50-year series that relate to natural disasters and the elements. The ticketed Preview Party for the grand opening of the Marlene Yu Museum and Rainforest Art Foundation will be held on Thursday, December 18, 2014, followed by the Grand Opening on Sunday, December 21, 2014. “Forces of Nature” will run through May 31, 2015. The Meadows Museum of Art at Centenary College is the fifth show with a reception open to the public on Saturday, February 21, 2015. The exhibition, through May 3, 2015, explores Yu’s uncharacteristically figurative works from a 3-year period, “Dream Series,” depicting a love story between the figurative female and her male counterpart represented by various animals. Next, is the “Melting Glacier Series” at Sci-Port: Louisiana’s Science Center, beginning March 17 through April 26, 2015, which falls in line with Earth Day. The final location of the Lucky Sevens will be Bossier Arts Council with the title “Crystal Reef Series” running from June 1 to July 31, 2015. The Marlene Yu Museum is a single-artist museum being built during Yu’s lifetime with the mission to preserve, exhibit, document, and interpret the life and works of Marlene Tseng Yu. MYM will be the first contemporary art museum in Shreveport as it opens the doors inside the Rainforest Art Foundation building. 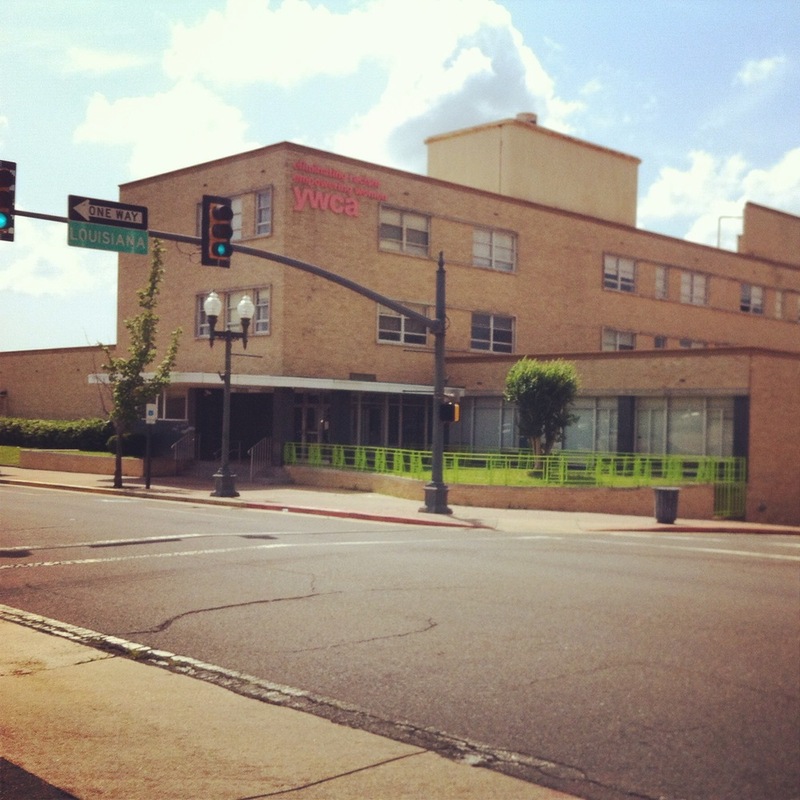 The 710 Travis Street, Shreveport, LA 71101 location will be the world headquarters for the Rainforest Art Foundation. The Foundation and Museum want to help make Shreveport an international destination for nature-inspired arts as well as an educational and cultural hub by strengthening the downtown arts community, attracting young talent to work, play, and stay, and furthering the area’s intergenerational family values. Yu founded the Rainforest Art Foundation in New York City in 2001 to bring together like-minded artists who are involved in the green arts movement. The mission of RAF is to increase appreciation of nature through art. Yu has had 69 solo exhibitions in the U.S., Europe, and Asia. Her work has been reviewed in 9 different languages in over 200 publications including Artforum, Art in America, and Art News. Marlene goes to the SWAMP! SHREVEPORT, La., June 24, 2014 – Marlene Yu’s visit to Louisiana two weeks ago included trips to the locations of her seven shows in Shreveport as well as a visit to South Louisiana June 10-12. Lieutenant Governor Jay Dardenne and his Chief of Staff Cathy Berry invited Yu to Baton Rouge and Grand Isle for museum and water tours to harness inspiration for her Louisiana series “Purple Swamp”. During her time in Shreveport, Yu was able to visit all seven locations for her upcoming shows, the Lucky Sevens. During these visits she began planning each individual show by choosing themes for the locations. She will begin to choose which pieces will be in each show upon returning to New York City. Cathy Hernandez, Executive Director of the Louisiana Division of the Arts, hosted Yu at the LSU Museum of Art, where she met Dána LaFonta, Director of Artist Services & Percent for Art Program at State of Louisiana, and the Capitol Park Museum in Baton Rouge. Curator Dr. Katie Pfohl gave Yu a tour of the LSUMOA on Tuesday afternoon. The following day William Stark, Museum Division Director at Louisiana State Museum, showed Yu the Louisiana history and festival exhibitions at the Capitol Park Museum. Yu also met with Elizabeth Weinstein, Museum Curator of Art at Louisiana Art & Science Museum. Debra Credeur, Executive Director of Atchafalaya National Heritage Area, along with Charles Caillouet of the Atchafalaya Trace Commission for Ascension Parish, brought Yu to the Atchafalaya Basin for a boat tour of the bayou lead by Charles Reulet of the Department of Natural Resources. Representative Karen St. Germaine and April Newman of the DNR accompanied Yu on the tour. Credeur and Caillouet also brought Yu to Grand Isle, where Chris Macaluso, Director of Center for Marine Fisheries of the Theodore Roosevelt Conservation Partnership, introduced her to locals and the Grand Isle National Park. During her trip to South Louisiana Yu learned about the fast growing problems the Louisiana coastline is currently facing. As the sea level rises and the land sinks, the coast is quickly swallowed by water at a rate faster than one football field of land per hour. Yu founded the Rainforest Art Foundation in New York in 2001. The mission of the Foundation is to increase appreciation of nature through art. The Shreveport location will open in December along with the Marlene Yu Museum, at 710 Travis Street, Shreveport, LA 71101. The mission of the Marlene Yu Museum is to preserve, exhibit, document, and interpret the life and works of Marlene Tseng Yu. SHREVEPORT, La., March 4, 2014 -- The grand opening of the Marlene Yu Museum will be Sunday afternoon, December 21, 2014. A preview party will be held the prior Thursday evening, December 18, 2014. Renovations of the former YWCA building at 710 Travis Street began in February 2014 for the Museum, dedicated to the life and art work of Marlene Tseng Yu. "It is a rare and momentous occasion for this kind of museum to be built during an artist's lifetime," says daughter of the artist Director Stephanie Lusk. The building serves as another location for the Rainforest Art Foundation Yu founded in New York, to bring together local and international, professional and emerging artists, who aim to increase appreciation of nature through different art forms. Marlene Yu Museum will also be known as MYmuseum, incorporating social media so that each visitor's experience near and far can be individualized as desired. The 36,500-square-foot building includes a performance theater, offices, sculpture garden, and events and rehearsal space for community use.